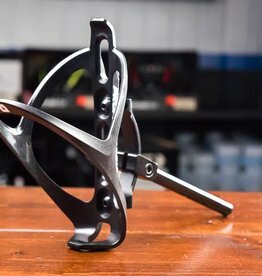 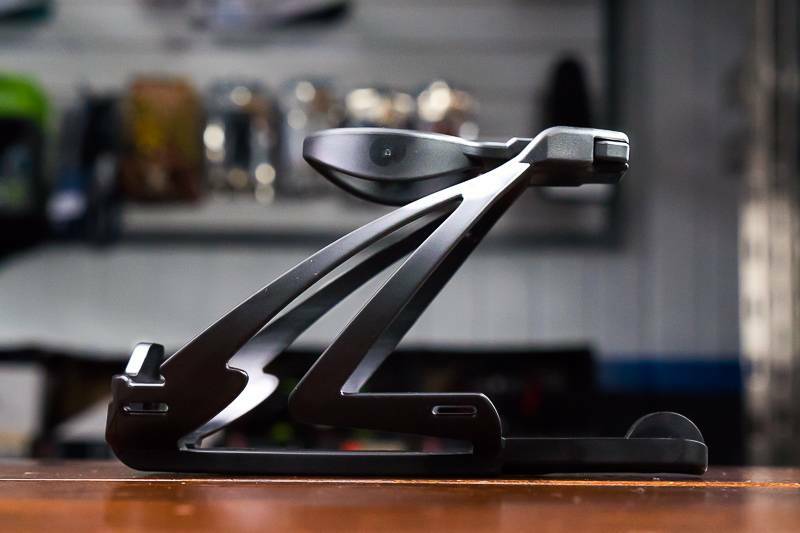 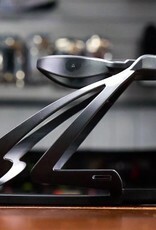 The Speedfil Z4 water bottle cage holds a standard cycling bottle between the aero bars and accepts GPS 1/4 turn mounts for easy viewing of electronic devices. 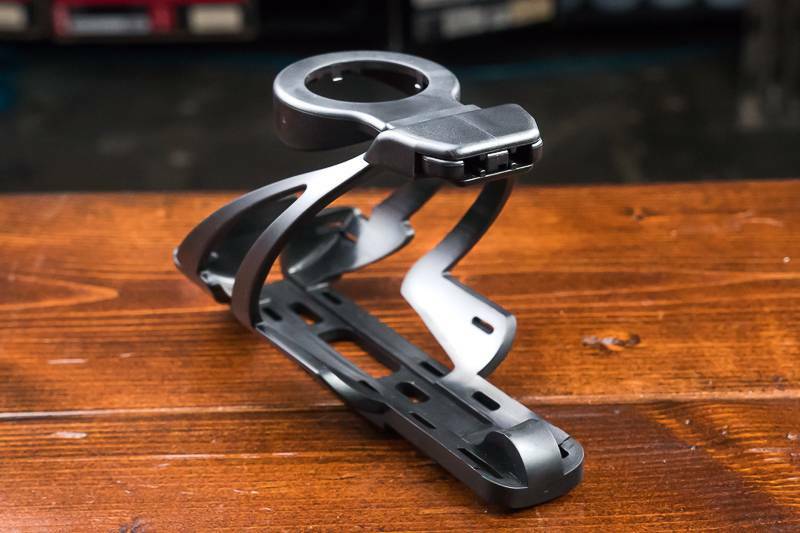 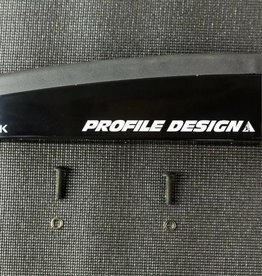 Your quarter turn mount will snap directly into the bottle cage, which allows for quick attaching/detaching of the GPS device. 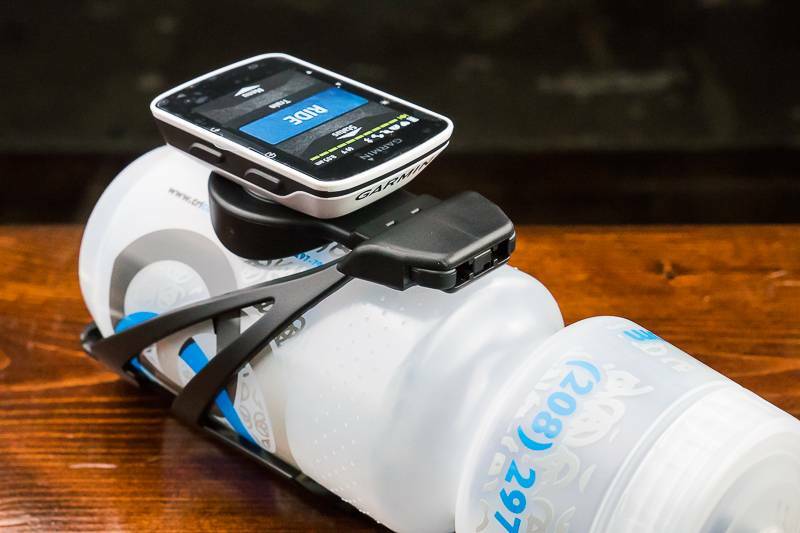 The Speedfil Z4 is a great option for triathletes and time trialist who want easy access to their bottles without sacrificing GPS device location. 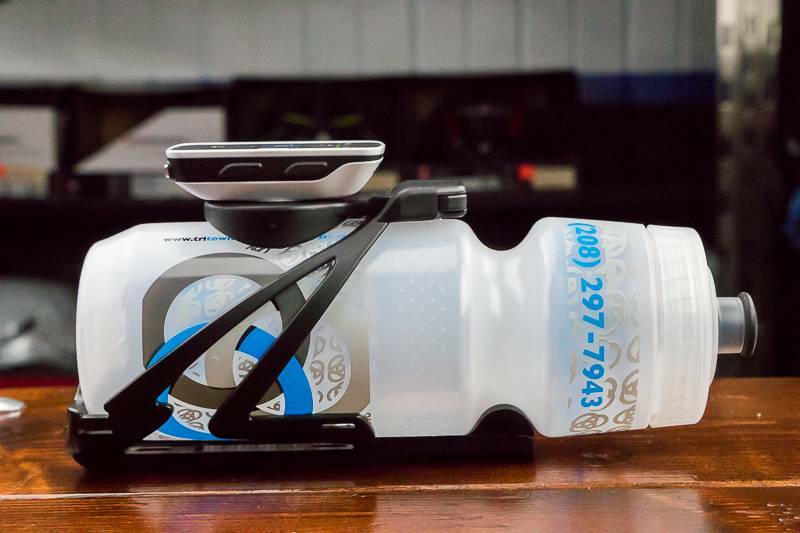 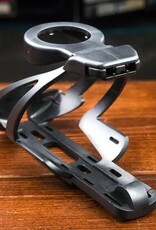 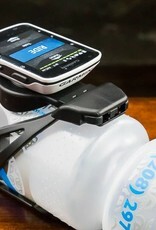 The bottle cage also features an exaggerated button towards the front of the cage, which fits in to the neck of standard bottles to help prevent bottle ejection. 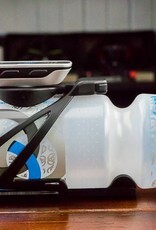 Custom Tri Town water bottles.